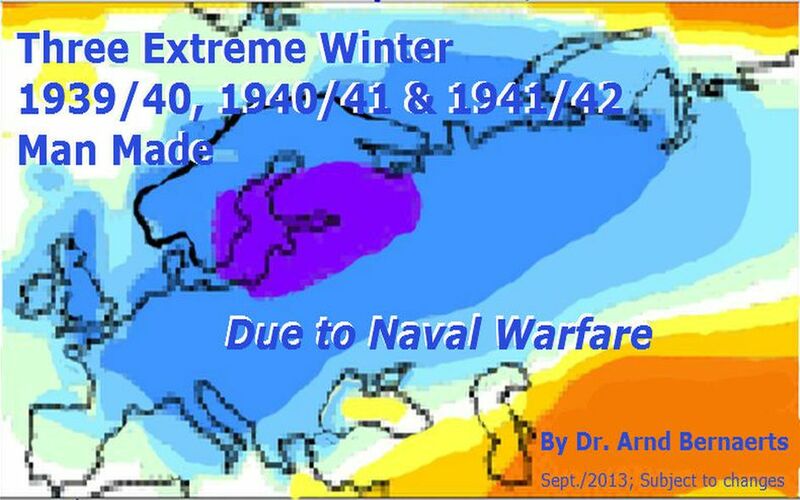 3rd Extreme War Winter 1941/42 was predictable! 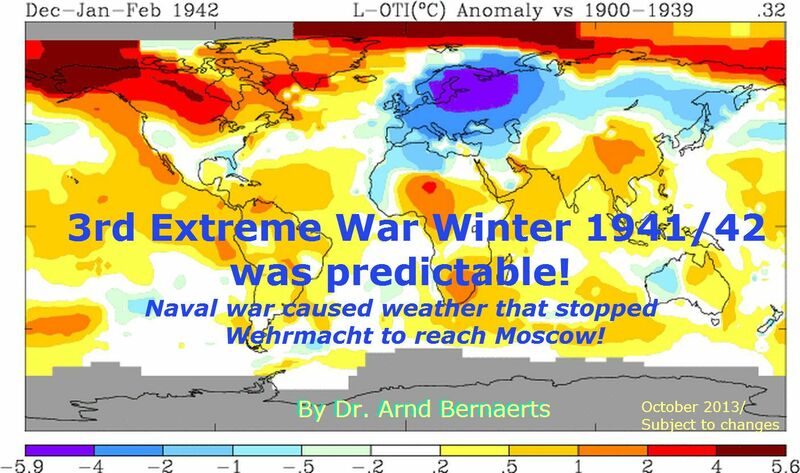 Naval war caused weather that stopped Wehrmacht to reach Moscow ! 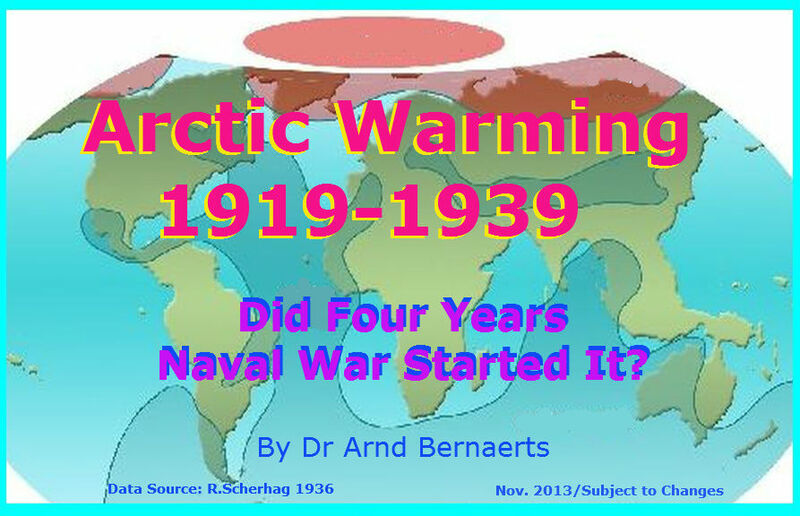 Did Four Years Naval War Started It? 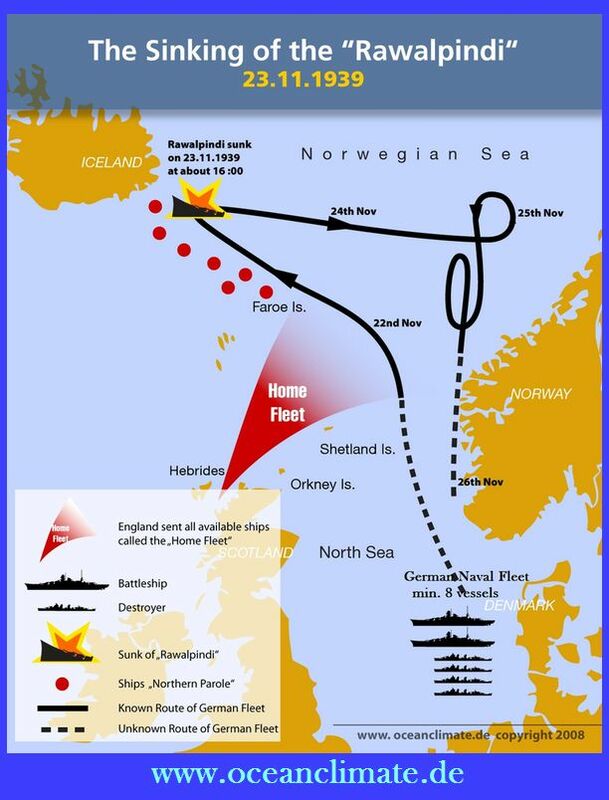 The first sea engagement of naval surface vessels in the North Atlantic occurred in late November 1939. 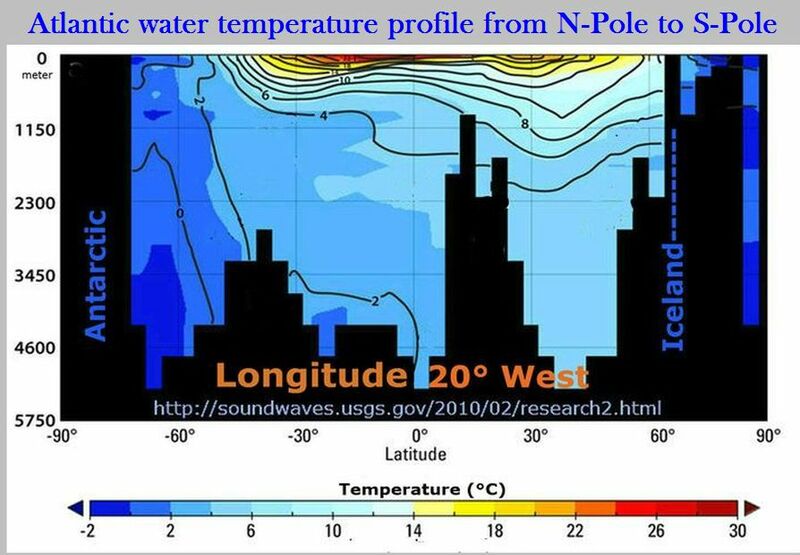 This naval encounter was immediately followed by a rapid decrease in air pressure by more than 50 mb in 48 hours. 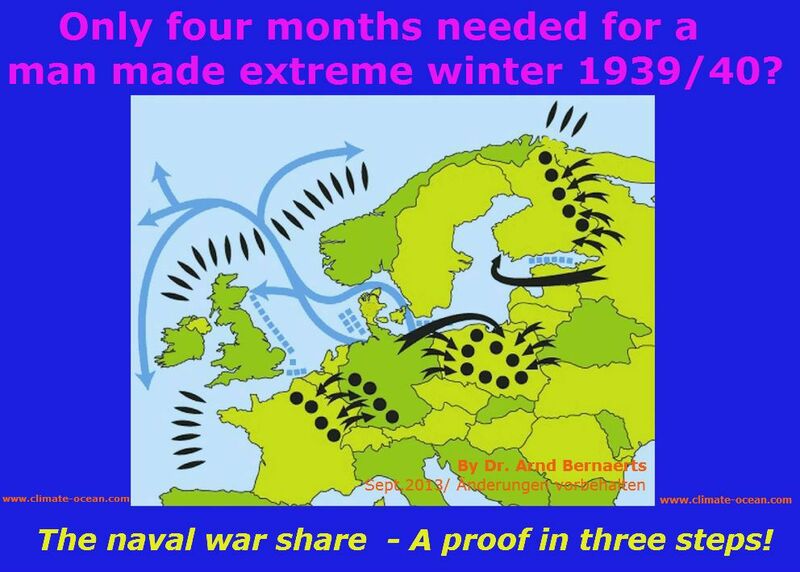 Can a 15 minutes’ shelling of 600-pound shells produce sufficient ‘butterfly-effect’ to turn a modest low air pressure into a violent cyclone? 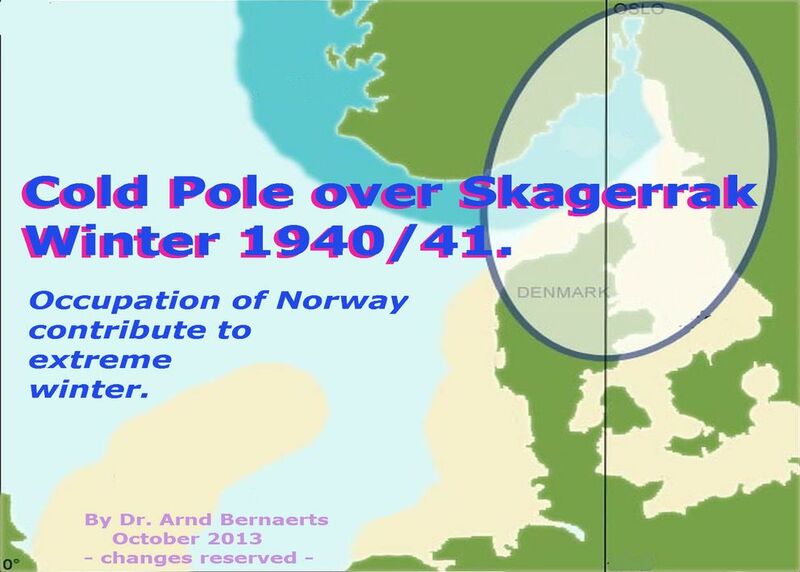 Weather was fair on Thursday the 23rd November 1939, Southeast of Iceland, about 200 miles west of the Faroe Island. 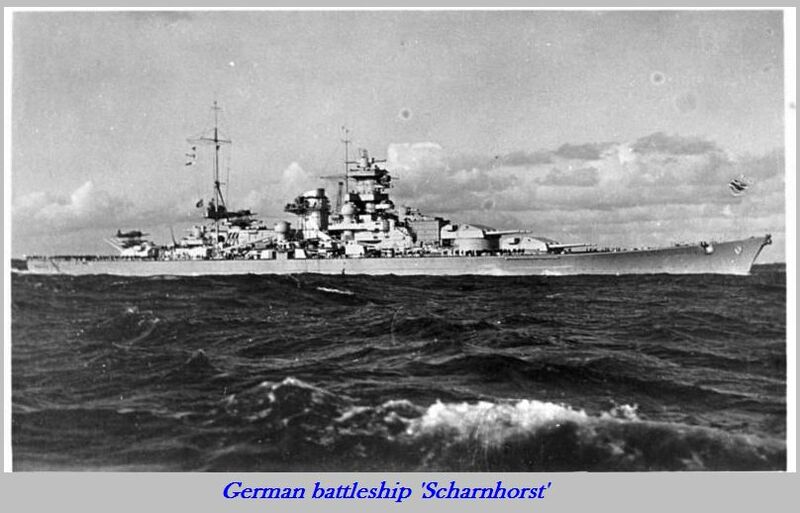 The big and modern German battleships Gneisenau and Scharnhorst sailed in a flotilla of six naval vessels, when they saw HM Armed Merchant Cruiser Rawalpindi at some distance. The sea was smooth in the late afternoon over a distance of about 7,500 metres, clear enough for the enemies to shell each other, when a tremendous explosion broke the merchant cruiser in two. A shell from one of Scharnhorst’s 11-inch guns had hit the Rawalpindi’s forward magazine. The Royal Navy ordered all of their Home Fleet (ca. 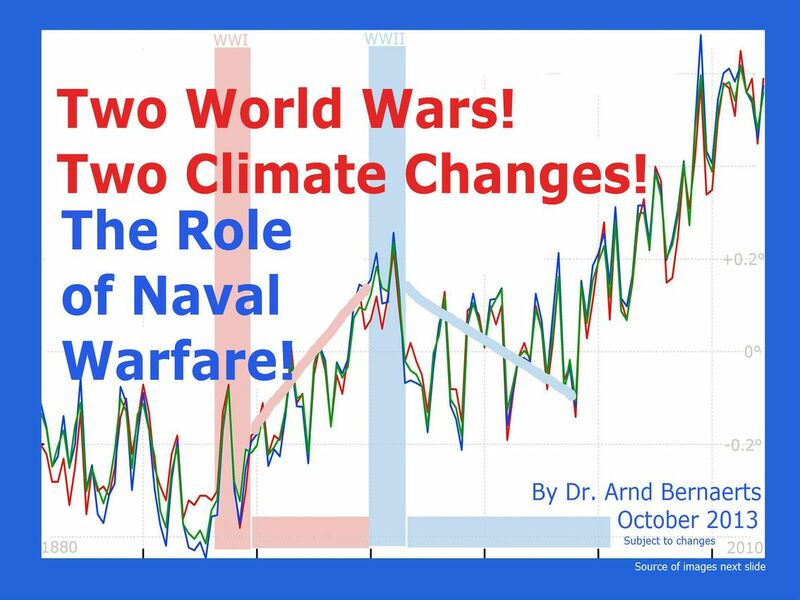 20 big naval vessels) to sail to the scene of action to hunt the German flotilla. 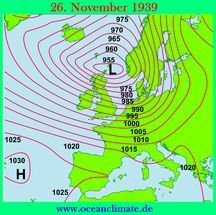 But a squall arose and the German ships escaped in stormy weather. The 16,697-ton Rawalpindi was no match for the 38,900-ton battleships each. 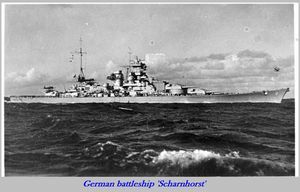 The German battleship Scharnhorst fired the first salvo over a distance of 10,000 yards (NYT, 28 November 1939), but when the enemy loomed large Rawalpindi sought protection by dropping smoke floats into the sea and in her defence, replied with all her four starboard six-inch (100-pound) guns. (NYT, op.cit.). That was by far too little against the 11-inch (600-pound) shells German battleships could launch from their six guns in minute intervals. The battle was over at about 16-30 hours GMT. 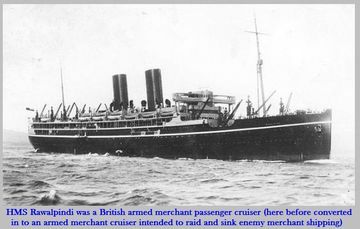 Germans took 28 survivors on board, from a total of only 39, and departed immediately before the first British cruiser (HMS Newcastle) arrived at the scene. 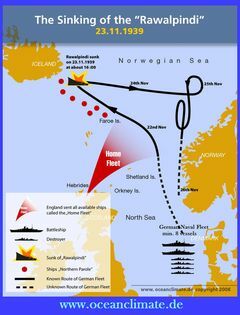 “However, the other eleven crew members who had also escaped from the blazing ship were rescued by another British naval vessel. Those eleven who landed at Glasgow told the story of the battle. 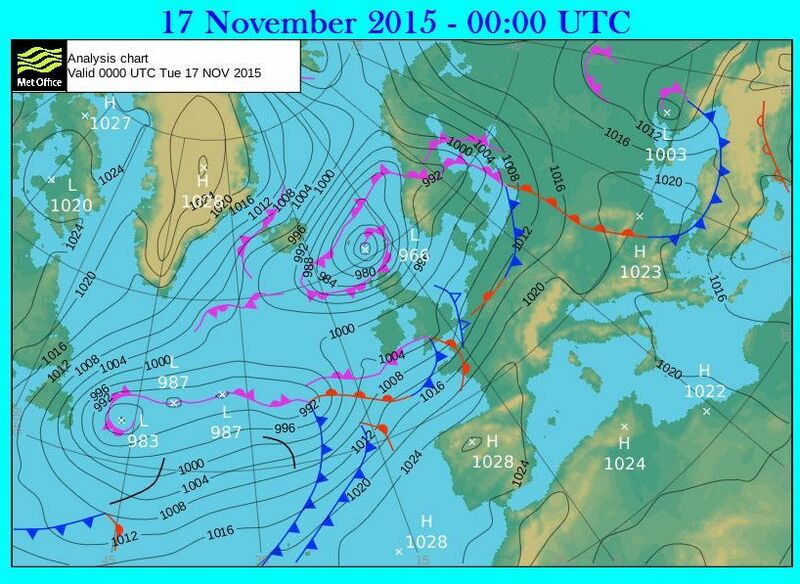 Actually, within 24 hours of this occurrence, a low pressure (975 mb) appeared south of Iceland. 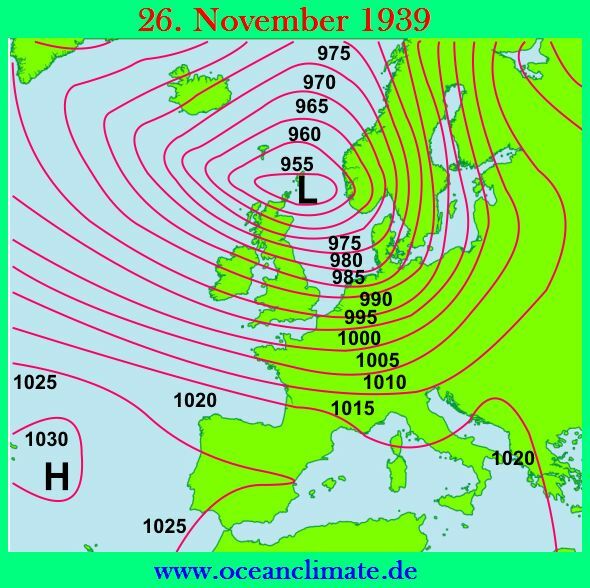 In the early morning hours of 25 November 1939, the air pressure over Iceland fell by more than 8 mb in three hours. 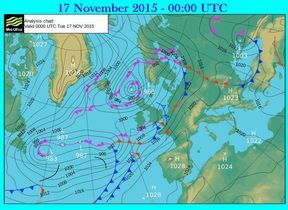 The cyclone moved to the Orkney Islands and was down to 945 mb on 26 November. This was a weather development not everyone would have predicted. But in the late autumn the Northern Atlantic is extremely sensitive and the weather depends on conditions of the sea surface. 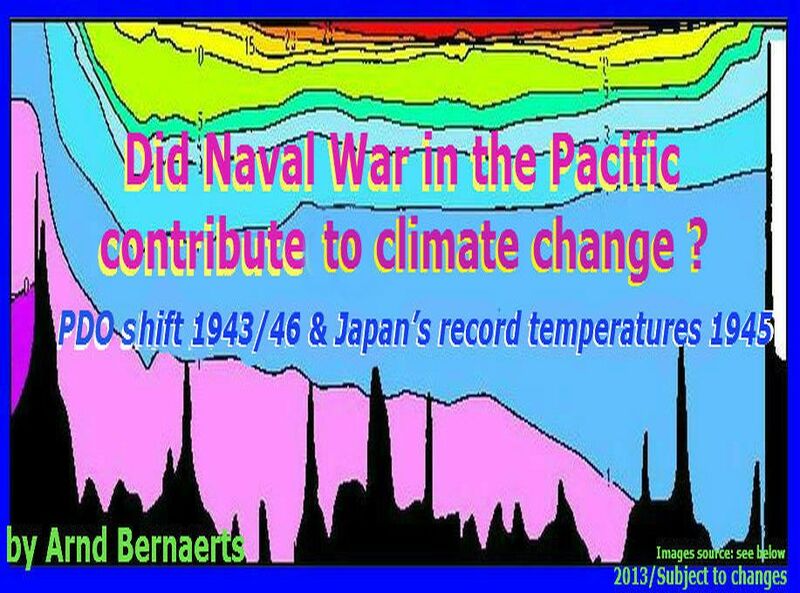 Unable to Prevent Climate Changes and World Wars?"